For local jurisdictions, cannabis farming can generate significant new tax revenues, create jobs and help reverse course for the region’s declining agricultural sector. In the weeks and months ahead, county and local officials will be taking steps to implement medical and recreational marijuana regulations, including cannabis farming. The local farmers I’ve talked to think the time is ripe. In the last 16 months, the state has enacted two laws that create a legal path forward for commercial cannabis farming – the Medical Cannabis Regulation and Safety Act, and the Adult Use of Marijuana Act. The state is scheduled to issue its first licenses in January 2018. While that’s hopeful, farmers still need zoning approval from the county – or any local jurisdiction – before they can apply for a state license. In effect, the supervisors are holding the keys an economic muscle car. The question is: Can we convince them to turn the key? There’s a lot at stake, and not just for farmers. Under the law, jurisdictions that give the industry a path toward legitimacy will be eligible for more state tax revenues than those that don’t. In addition, communities that bar cannabis will receive virtually no additional local revenues because they will have no farms or other cannabis businesses to tax. These are important facts given that cannabis sales in California are expected to climb to $6.4 billion by 2020, according to New Frontier, a cannabis research firm. As a result, the state could collect more than $1 billion in annual tax and licensing revenues. Farmers know policy conversations at the local level are critical. Residents should know it, too. That’s why a group of us recently came together to create the Responsible Growers Council. Today it has more than 80 members – including more than 40 San Diego County farmers, land owners and business entrepreneurs who want to establish legal, sustainable farms in the county’s rural residential and commercial agricultural zones. Right now, other communities across California are scrambling to harness this newly legitimized, $2 billion-a-year industry. Our new group wants San Diego County to do the same. 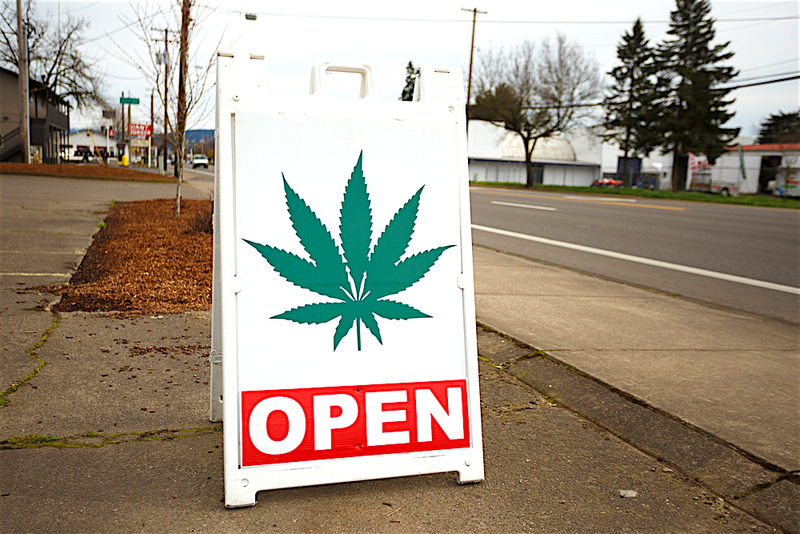 Pot shops now open in North County. Growers are subject to two separate state taxes – a $9.25-per-ounce tax on cannabis flowers, and a $2.75-per-ounce tax on cannabis leaves, at the wholesale level. The state also collects a 15 percent sales tax at the retail level. Local jurisdictions may also impose their own taxes. In November, Humboldt County established a tax ranging from $1 to $3 per square foot of growing space (based on type of license) and is projected to collect $7.3 million annually. Allowing farmers to grow cannabis gives them the ability to diversify their crop portfolio, and to grow a new cash crop that relies on less water than most traditional crops. Farming is a risky business in the best of times. Factor in declining acreage and rising water costs and you’ll see why having a new cash crop is important – especially one that is expected to be in high demand (no pun intended). Allowing more people to grow cannabis also creates good living-wage jobs. On average, cannabis farm employees make between $40,000 to $90,000 annually. A part-time gardener’s annual wages are typically between $20,000 and $25,000. Garden managers and others can be as high as $150,000 on a cannabis farm. By comparison, full-time farm workers in America make just $30,000 a year on average, according to the U.S. Bureau of Labor Statistics. In San Diego County, the average worker involved in farming, fishing or forestry makes just over $19,000 per year, according to the Living Wage Calculator. That’s well below the living wage in our region. If the region sees an influx of cannabis farms, job growth could be significant. A 5,000 to 10,000-square-foot, farm typically employs between 20 to 30 full-time workers, while a 22,000 square-foot farm would require 25 to 45 workers. We all have a stake in the discussion ahead. We’re not naïve; we know legalization has been a controversial, often emotional issue for some time, but it doesn’t have to be. Members of our group are real people. Some are families that have farmed in San Diego County for generations. Others are new entrepreneurs. All are people who just want to farm their lands legally and in a way that is acceptable and beneficial to communities. The next step is for local agencies and communities to establish legitimate, sustainable farms. Sustainable means being good neighbors, having minimal impact on local communities, working with public safety agencies and protecting the environment. I hope you’ll consider helping, too, by contacting your supervisor and expressing your support for cannabis farming in San Diego County. This appeared first in non-profit Voice of San Diego. By agreement, The Grapevine sometimes publishes Voice columns. Anthony Wagner is the executive director of the Southern California Responsible Growers Council and a land-use and zoning expert. Wagner’s commentary has been edited for style and clarity. See anything in there we should fact check? For more visit here. Be the first to comment on "SD County farmers: Let them grow pot"